Discussion in 'Archives' started by Methodical Management, Mar 4, 2009. As many of you know, we at NikeTalk donate 100% of our advertising revenues above the cost of hosting to charity. Recently, we were privileged to donate $10,000 to the World Wildlife Fund to join their Amur Leopard Conservation Society, part of the WWF's"extraordinary gifts" program. A critically endangered species, the Amur leopard has become known as the rarest big cat in the world. Like many of our members, Amur leopards tend to besolitary and nocturnal. They're also remarkable athletes, capable of vertical leaps in excess of nine feet. Sadly, only about 30 of these elegant andextraordinary creatures are left in the wild. While their situation is dire, there is still cause for hope. Scientists and conservationists saved the Amurtiger, whose population also numbered in the thirties several decades ago, from the brink of extinction. 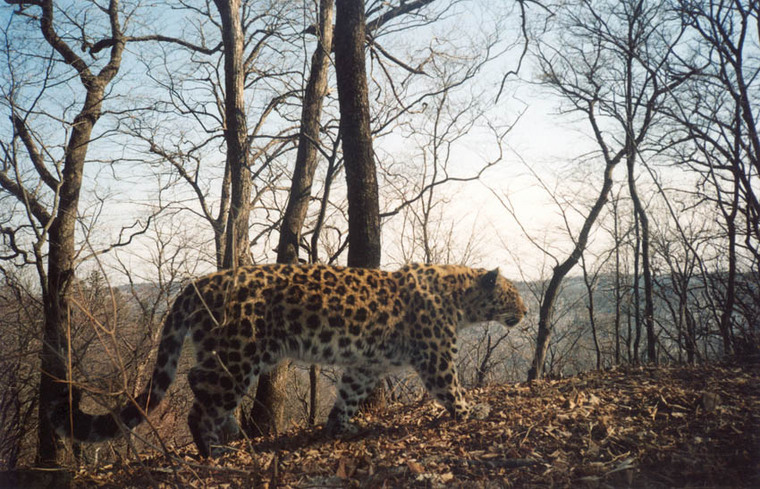 Now, the WWF and the ALCS look to do the same for theAmur Leopard. The ALCS is a highly unique program in that, due to its extremely limited membership, we, as supporters, are kept in direct contact with the WWF. Each ALCSmember is paired with an actual Amur Leopard, selected by WWF scientists in Russia. the Niketalk staff/site will be adopting a 15 year old male Amur leopard named Borisovskii. You can call him Boris for short. He weighs 45kg, has a body length of 129 cm and a tail length of 82 cm. We know this from camera trap work, but he was also subject to a joint Russian/American wildlife medicine examination back in 2007. He's getting up there in age, but the vets found him to be in top shape for his age - hence his selection for you guys! You'll also find it interesting that despite his age, he has successfully fended off the much younger and energetic male named Nehzinskii and successfully mated with the region's female named El'duga. Though extremely busy, Dr. Collins has created a NikeTalk account (DarronWWF) and may take the time to answer some of your questions about the ALCS and itsefforts or the situation facing the Amur Leopard population in general. While we've supported a great many wondeful organizations in the past, some of which have reached out to provide us with updates, this marks the first timethat a representative of a selected cause has actually created a NikeTalk account to communicate directly with you, our fellow members. I hope you appreciatehis interest and efforts as much as I do. It's a privilege and a joy to support such a wonderful program and I thank each of you for your role in making this donation possible. The companies that advertise on niketalk.......do they consume any business from anyone on this site? Damn Meth, that's a lot of cash. It's coo to see that this place is actually "doin it" in society. So we make Boris our official mascott? You'll also find it interesting that despite his age, he has successfully fended off the much younger and energetic male named Nehzinskii and successfully mated with the region's female named El'duga. "YNS" status members need to take notes. Fresh...I was wondering when we'd be able to make this announcement. Thanks everyone for making this place great. NICE! But am I the only one that thought of World Wrestling Federation? So we definitely not endorsing this right? I'm glad you feel that way - because I think Boris just unseated you as NikeTalk's official mascot. No, but if there's interest we might be able to release a special apparel product specifically to help raise funds for this program. Membership in the ALCS is renewed on an annual basis, the price of which recently rose to $15,000. With an expected decline in ad revenues this year, we'dlove to be able to utilize merchandising as a means of raising money for this particular cause. You're certainly encouraged to donate to the WWF directly, but I've been told that donations under $1,000 are issued to their general operating fundand may not be designated to any specific program. So, if you want to support the ALCS in particular we'll need to pool our resources - and that'swhere a special edition t-shirt or other product could come into play. It's something to think about. Why not come up with an NT shirt that has a mascot type image of Boris? I'd be down to buy and support. he has successfully fended off the much younger and energetic male named Nehzinskii and successfully mated with the region's female named El'duga. The photoshoppers are going to have fun combining the two I'm afraid. Very cool though - Boris seems like the perfect mascot for this place. Do we have a list anywhere that outlines where all of our donations have gone? I know I probably should know this, but I'm dumb. successfully mated with the region's female named El'duga. Dude 10 g's is dope. Is NT still making monthly donations, or is that 10 gs over a period of time? Anyone else catch this little jab from Meth? Like many of our members, Amur leopards tend to be solitary and nocturnal. 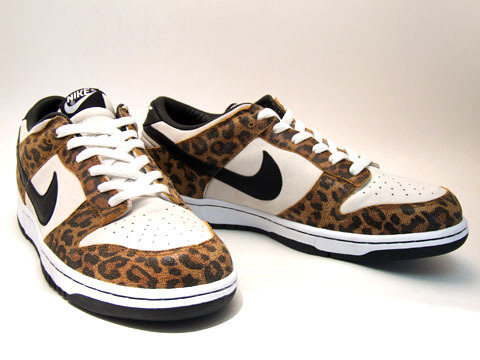 NikeTalk has an offical animal now! BORIS!!! That's awesome. I think i'm gonna goto Russia and do "tap tap pull", see if he responds.